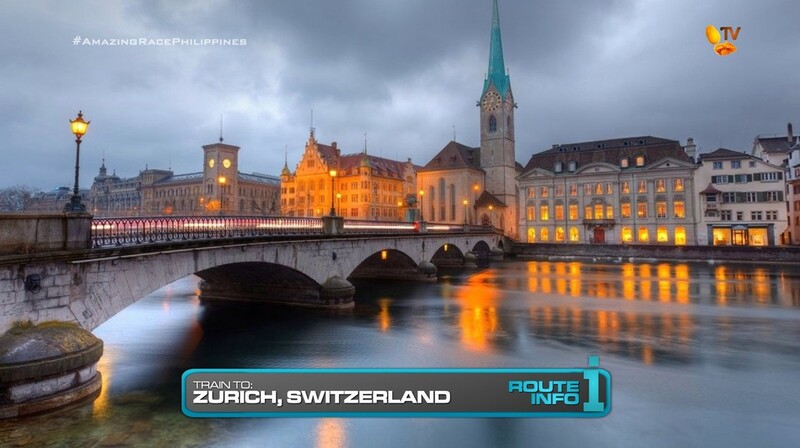 It’s the 10th Leg and teams must make their way to Switzerland’s largest city, Zurich. Teams will make the three-hour trip by taking the train with transfers in Interlaken and Bern. Trains depart each station every 30 minutes and teams will be starting this Leg in the middle of the night with arrivals in Zurich by sunrise. Teams will receive ZERO US dollars for this Leg of the Race. 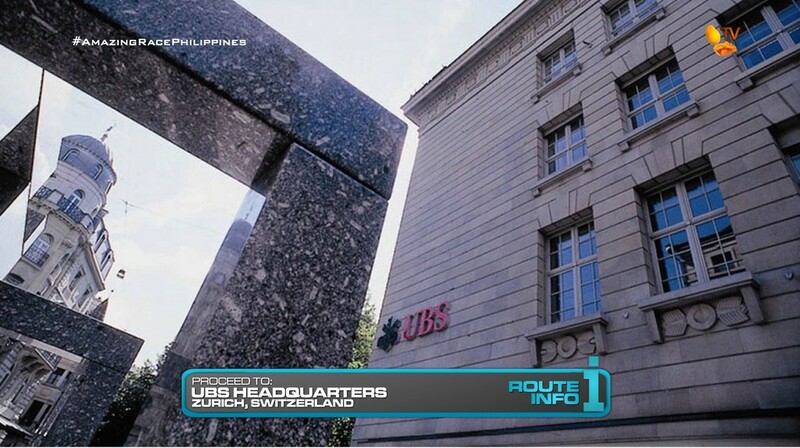 Upon arrival in Zurich, teams must hop into taxis and proceed to the headquarters of the country’s largest bank, UBS. 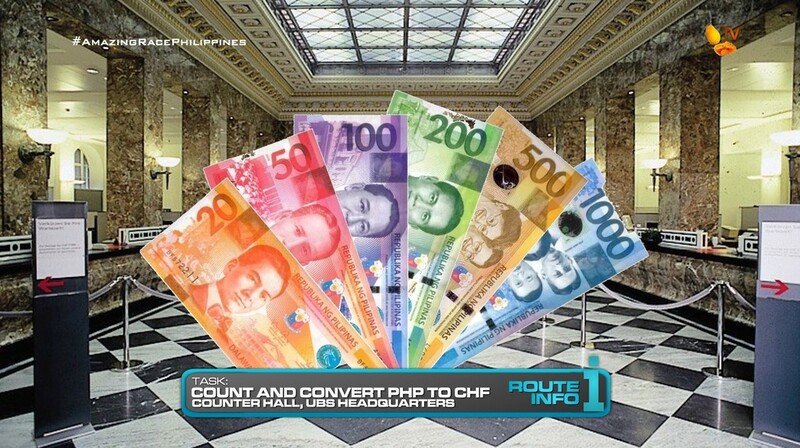 They will be led to Counter Hall where they will choose a bowl of Philippine Peso bills and coins. Teams will need to count the money and manually convert the pesos to Swiss Francs based on the current exchange rate (which constantly changes). Teams must also make sure to spot old peso bills which are no longer in circulation and thus cannot be exchanged as well as counterfeit notes. Once teams have given the correct totals, they will be given the calculated Swiss Francs as their money for this Leg. 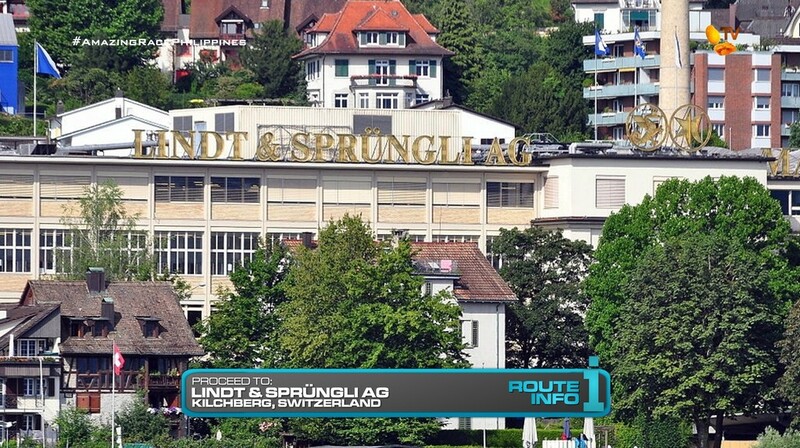 Teams must now make their way to the Lindt Chocolate Factory in Kilchberg. And here, teams will find the Road Block: Who’s feeling sweet? For this Road Block, teams will stand at conveyor belts and manually wrap chocolates that pass by them. They must neatly and correctly wrap all the chocolates until they have enough to fill four boxes. Once their work is approved, they must then deliver the chocolates by bicycle to a nearby address in exchange for their next clue. 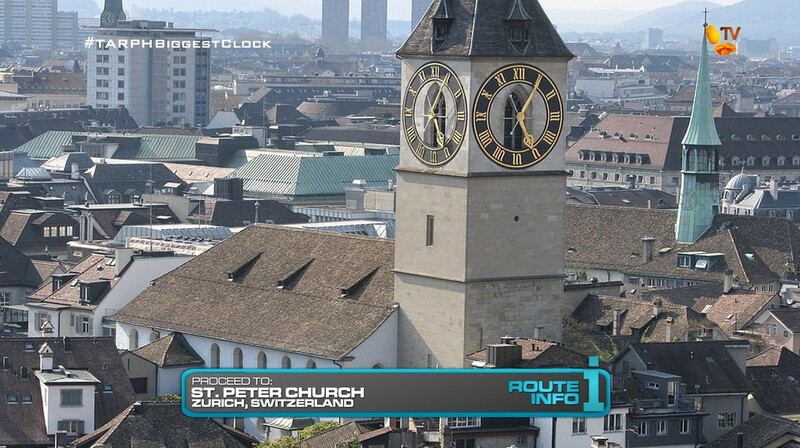 The clue asks teams to “Find the biggest clock in Europe.” They’ll need to figure out their next clue can be found at St. Peter Church in Zurich. That clue reveals the first BLIND Detour ever on The Amazing Race Philippines: Time or Eat. 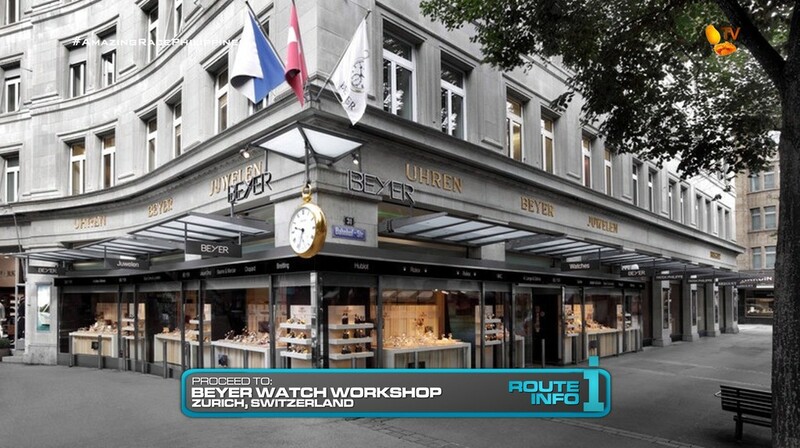 For Time, teams must make their way on foot to Beyer Watches and Jewellery. 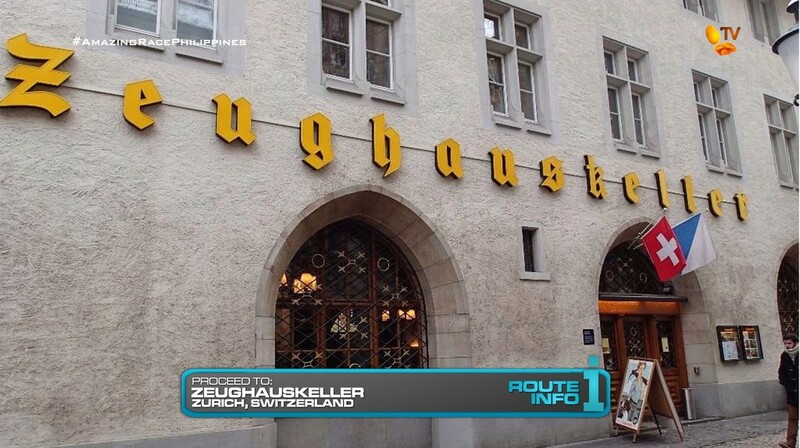 For Eat, teams must make their way on foot to the Zeughauskeller restaurant. Teams will only know what each task entails once they arrive at either location. 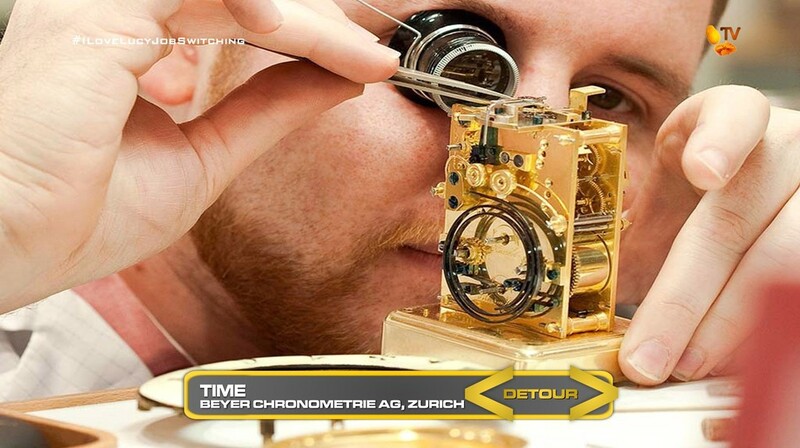 In Time, each team member will join the Beyer watch workshop and put together an authentic Swiss timepiece using the provided parts and only an example as a guide. Once they’ve put all the pieces in the correct spot, they must set the watches according to the clock on the wall. One watch will show the current time in Switzerland. The other watch must show the current time in the Philippines which teams must calculate. If 5 minutes have passed and time on the watches matches the time on the clock (proving that it works), they will receive their next clue. 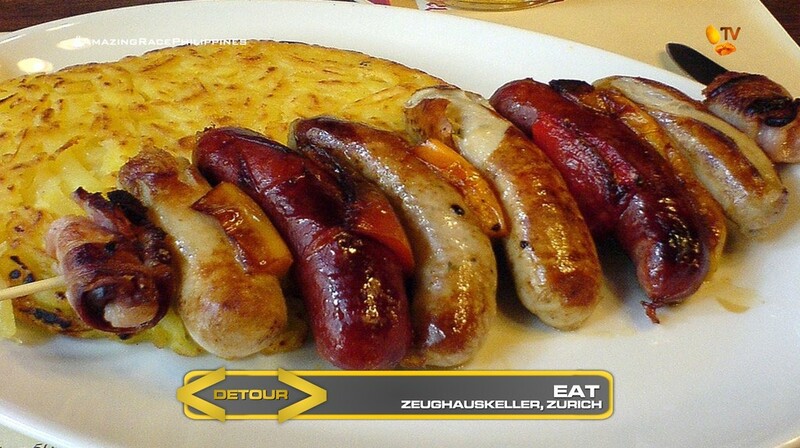 In Eat, teams will memorize and learn how to make five different varieties of Swiss sausages by observing several work stations in the restaurant. They will then need to make five sausages of each variety and have them pass inspection. They must then take the orders of a table of four customers who will order some of the sausages they’ve just made. If they can memorize the correct names and serve the correct sausages, they will be given the next clue. If they make a mistake, they will need to start the task all over again. 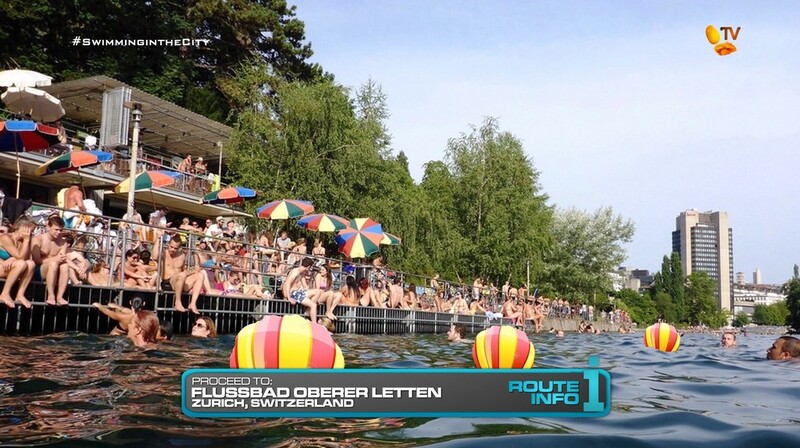 After the Detour, teams must find Flussbad Oberer Letten. Urban swimming is common in Zurich. And for this task, teams will jump into the river at one of the most popular urban getaways in the city. They must swim to one of the buoys to retrieve their next clue. Only one buoy contains real clues while the others only have fakes. 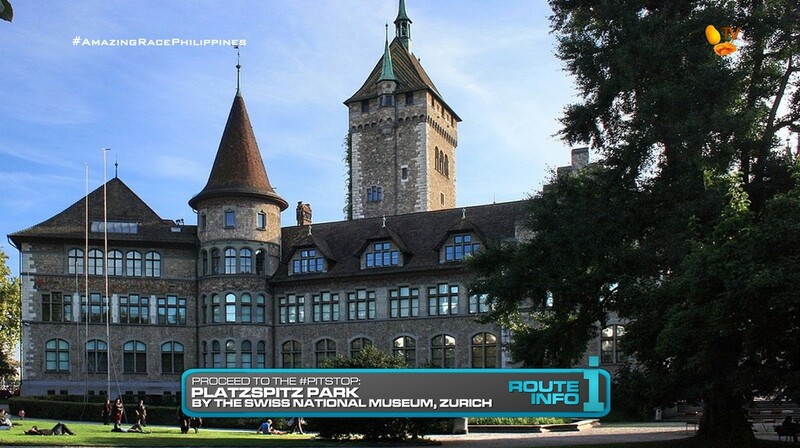 The real clue will point teams to the Pit Stop at Platzspitz Park by the Swiss National Museum. Actually, there’s definitely a lot of inspiration in all of these tasks. Though together, I think it can make for a challenging and exciting Leg. I don’t remember any “no money” or one piso Legs on TARPH yet, so this is a good Leg to have one on. And that is mainly to pair it with that money counting task. Zurich is one of the biggest banking cities in the world. (Hello Swiss bank accounts! lol) So this should be a good, challenging task. The counterfeit and Bagong Lipunan money is basically just to mess with teams. A Swiss chocolate task is necessary, of course. But I wasn’t really sure what kind of task to have. (Again, another problem easily solved by actual scouting visits to these cities. Hee) So I decided to draw upon my favorite show of all times forever and ever, I Love Lucy. That would definitely be fun to watch. And teams delivering them to an address by bicycle also makes it more difficult. The largest clock clue is a good little mental task that gets teams interacting with locals. And for the Detour, I originally had the watch making as a Road Block with the Detour being chocolate vs. sausage. But seeing the locations for the watch shop and the restaurant actually being a few blocks apart, I thought this would be the perfect place for a Blind Detour. If this were an earlier Leg too, it would be a perfect spot for a U-Turn as well. The final task with the swimming is basically to check off the water-based task for the season. In reviewing my outline, I saw there weren’t any water-based tasks, so it’s a good thing Zurich loves urban swimming. Overall, a good Leg with lots of potential. ← Recap: Shuriken Sentai Ninninger, Episode 27 – It's Summer! Chozetsu Star Is Born!